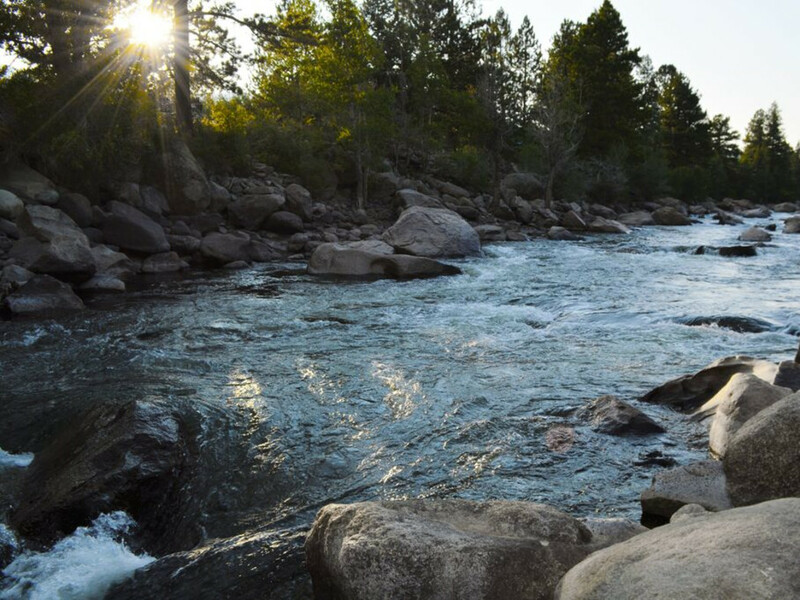 The Arkansas River originates in the Colorado Rockies and carves its way for 150 miles through some of Colorado's finest mountain scenery. It is a river perhaps best known for its abundance of prime whitewater conditions—making it an addictive, almost holy playground for rafting and kayaking enthusiasts. 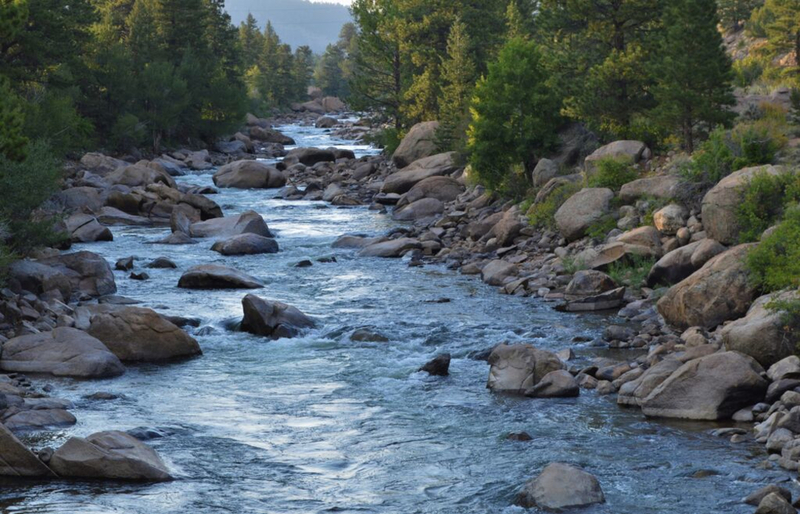 From its source among the state’s highest peaks, the river covers over 100 miles until it enters the Front Range and carves up the Colorado plains. The Arkansas is no secret to local anglers-who visit year round to tap into the variety of prime trout habitats among its famous canyons, rapids, and mountain scenery. As a fishery, the Arkansas remains mostly unaltered until it enters Pueblo Reservoir, aside from its inhabitants, which are mostly non-native Brown trout. Like many of the state’s better trout rivers, the native cutthroats have been forced out by the hardier and hungrier species. It is estimated that up to 75% of the fish in the upper Arkansas are Browns and the remainder are Rainbows. Having a basic grasp of the Browns' feeding habits can be the difference between a day of hauling some big, powerful fish and one of practicing your knots. Browns are ambush predators, often hiding among structure and large rocks, waiting for their opportunity to strike. They will feed if the opportunity presents itself, whether that be a bottom-drifting midge or dead-floating grasshopper. Keep in mind the happenings of the insect hatch, of course, but don’t shy away from floating a large attractor fly, plopping a grasshopper or stripping a streamer to challenge the trout’s attention. On lower, slower stretches, you can fish into the night hours with a headlight and mouse pattern and enjoy an occasional customer. Browns avoid the fast water and spend their time poised under cover, striking subtle and quick, then retreating down to the riverbed. 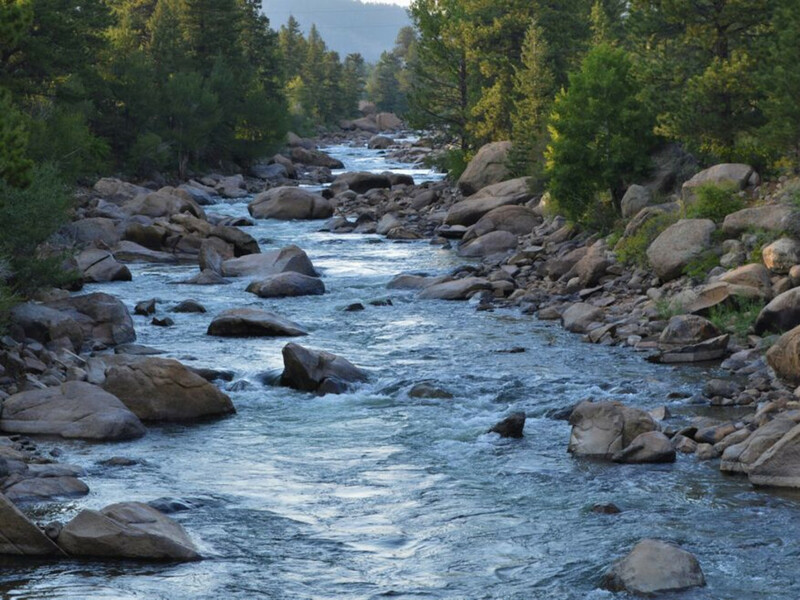 The upper stretches from the town of Leadville, south through the famous “Numbers” rapids and on towards the town of Buena Vista, are characterized by narrow canyons, boulder fields, and highly productive deep pocket water. This stretch covers 2,000 vertical feet and conditions are highly dependent on weather. On a spring or fall day, temperatures and cloud cover can cause a variety of insect activity, so be prepared with a variety of flies and expect to frequently change your approach. Brown’s Canyon, a very popular rafting stretch between Buena Vista and Salida, is speckled with rapids but the river is relatively accessible and does have some great slow moving water that can be irresistible for dry fly fishing in the mornings and evenings. The river gets considerably warmer as it passes through the town of Salida at about 7,000 feet of elevation and begins its descent through the Royal Gorge Canyon. 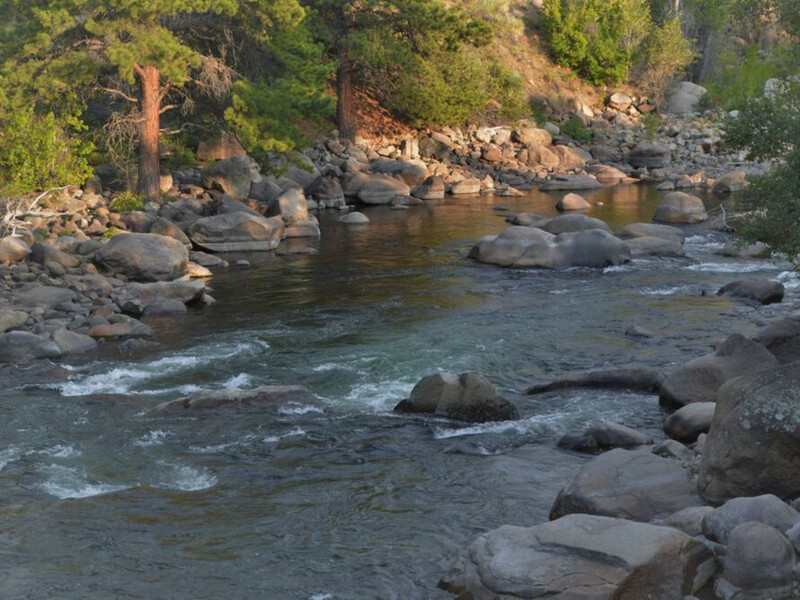 The river has boulders, eddies, deep pools, and sandy bottom drifts as it parallels State Highway 50. Below the impressive Royal Gorge Canyon, the Arkansas navigates through Canyon City and down to Pueblo Reservoir, mostly levelling out and offering a much different fishing experience. Given its relatively low elevations, fishing above and below Pueblo reservoir, though rather pressured, is an excellent winter fishing option for Front Range anglers.